First ER Surgery of the Year! A bowel obstruction, also known as a gastrointestinal blockage, is a complete or partial blockage that prevents solids or liquids from passing through the gastrointestinal tract. This blockage can also decrease blood flow to the bowels, causing deterioration and absorption of toxic contents. Foreign objects can also cause the intestines to bunch into each other like a telescope. Most frequently, bowel obstructions are caused by ingesting foreign objects, such as socks, toys, rocks and bones, which can also cause perforation of the stomach and intestines. Other causes include tumors, gastrointestinal inflammation, twisting of the intestines around the membrane that separates them from the abdominal wall, and intestinal parasites. Dogs who have a tendency to ingest foreign objects are at a high risk of a bowel obstruction, especially young puppies. Sometimes an item can be in their digestive track for weeks before making its way into a blockage. How do I know if my pet has a bowel obstruction? There are some common symptoms such as vomiting, weakness, diarrhea, lethargy, loss of appetite, horrid breath, dehydration, and or bloating. Your dog may seem fine but can't keep food down, and has diarrhea.. it can be any combination of these symptoms.. 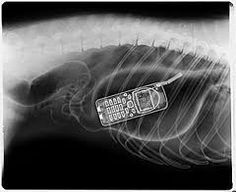 If you suspect your pet has an obstruction please go to a veterinarian for x rays to confirm. Depending on where the item is you and your veterinarian will need to discuss options. In some cases hydration and medication can help an item pass naturally but in some cases surgery to remove the item is necessary. Supervision is key and watching what your pup east... keeping those items they can swallow out of reach and only allowing toys they can't swallow or rip up. If you have. dog (like mine) who likes to put things in their mouth Do NOT scold them! Teach them to "bring it". and exchange it for a cookie or high value treat. Bottom line if you think your pet has ingested something they should not have and they display these symptoms please seek veterinary care. For more about bowel obstructions and what to look for check out this video from PET MED.